William Wade (Cook County Sheriff’s Police photo). A jury has convicted a south suburban man apprehended by Cook County Sheriff’s Police after a five-hour standoff in Tinley Park last year. 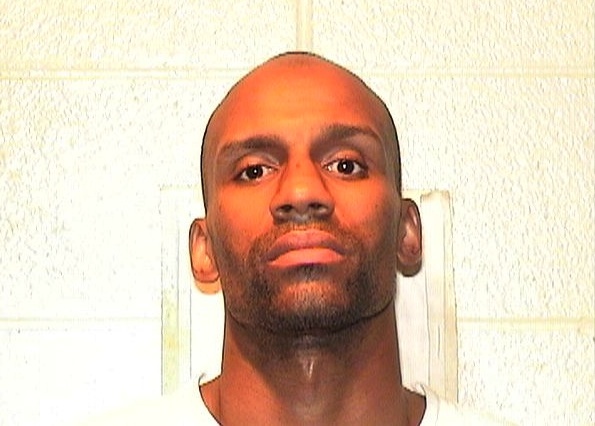 On Wednesday, William Wade, 34, of the 18100 block of S. 66th Court in Tinley Park, was convicted of being an armed habitual criminal; possession of a controlled substance with intent to deliver; and possession of cannabis with intent to deliver. On July 22, 2010, the Cook County Sheriff’s Police Central Warrant Unit received a tip that Wade was at a home on the 18100 block of 66th Ct. in Tinley Park. Officers had been seeking Wade on an outstanding warrant from June 8, 2010 for two counts of manufacturing and delivering a controlled substance – cocaine. When Sheriff’s Police officers, working with the U.S. Marshal’s Great Lakes Regional Fugitive Task Force, knocked on the door, Wade refused to come out. Officers then heard what sounded like Wade “racking” a shotgun. At that time, additional units responded from the sheriff’s office Hostage, Barricade and Terrorism team as well as K9 officers. Nearby residents were evacuated. Hostage negotiators eventually convinced Wade to surrender and he was taken into custody without incident. At that time, police learned Wade had barricaded himself inside the home with his girlfriend and two minor children. Inside Wade’s apartment, officers found two handguns and approximately 2.5 kilos of crack cocaine, along with a large amount cash. William Wade was convicted after a two-day trial in Bridgeview court. His sentencing is October 7th, when he will face between 15 and 30 years in jail. Wade has a long criminal history that includes drug charges from 1998, 2007, 2009.